The latest Samurai Shodown trailer reveals Nakoruru as well as a fresh look at some more gameplay. Samurai Shodown is looking positively lethal, and we can't wait to get our hands on it. We get to see a bit more of the game's characters before it finally debuts, starting with the Kamui warrior Nakoruru, who's appeared in the Samurai Shodown universe in the past. She features a heavily nature-inspired move set and fights alongside her pet hawk Mamahaha. Should anyone harm Mother Nature, which she cares very deeply for, don't think she doesn't have something up her sleeve – potentially a slow and painful death for anyone who dishonors her. 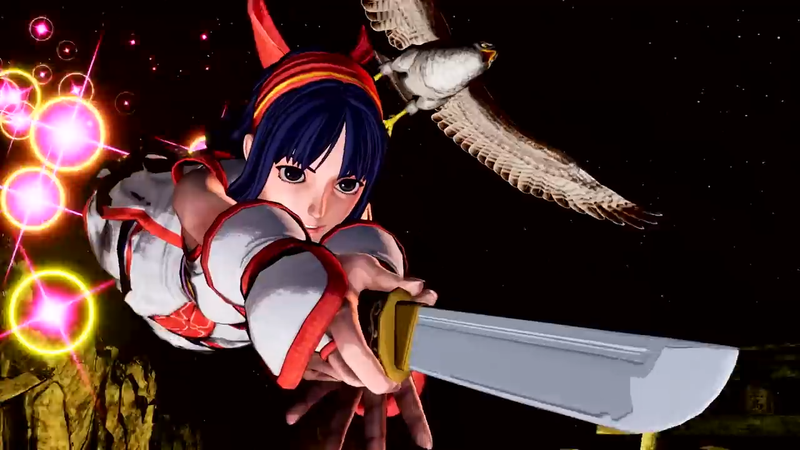 Nakoruru is shown off in all her glory in the above trailer, as well as some of the moves her hawk can help her perform. She may look innocent, but don't let that fool you. She's 100% capable of doing some serious damage either alone or with the help of her faithful sidekick – or would that be "side bird?" This new version of Samurai Shodown is being developed in-house at SNK by the team that worked on King of Fighters XIV. It will come packing various game modes, including Story, Practice, Online Battle, and offline battle options if you're more keen on playing offline. It will also feature a special new asynchronous online mode called Dojo that will use machine learning to create a new avatar that learns from player actions offline to be used for a Ghost AI fighter. The Ghost will then be uploaded to take on other challengers, as other players will be able to do as well. Players can fight Ghosts in 1v1 battle or do the Ironman Challenge to defeat 100 in one sitting. Can't wait to get your hands on Samurai Shodown? Be sure to check out out developer interview above for all the juicy details. Samurai Shodown is set to debut on PlayStation 4, Xbox One, Nintendo Switch, and PC this year, with dates for Switch and PC to be determined. PlayStation 4 and Xbox One owners can jump aboard this June.